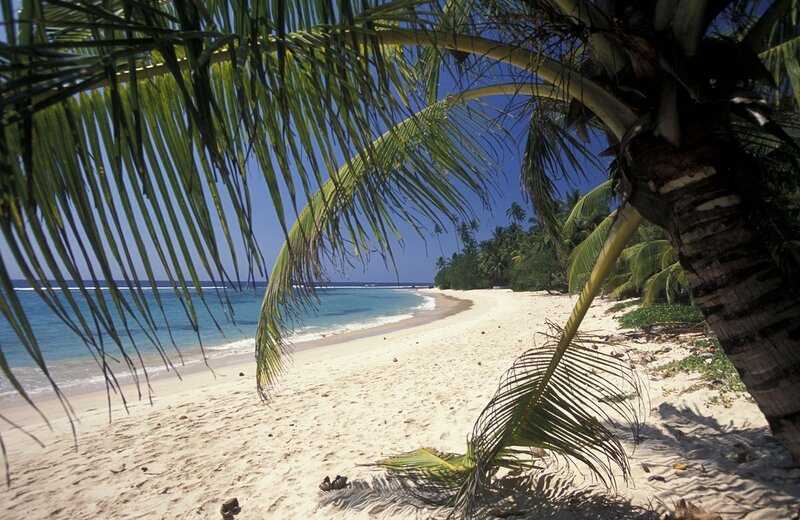 This tour to Sri Lanka is for you if you dream of an active holiday to challenge all your senses. 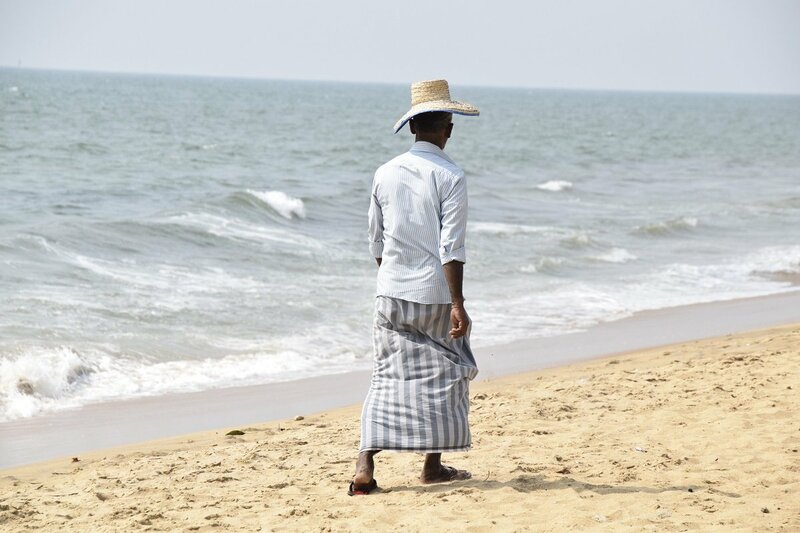 In fact, Sri Lanka is so much more than fragrant tea plantations and long golden sandy beaches alone. 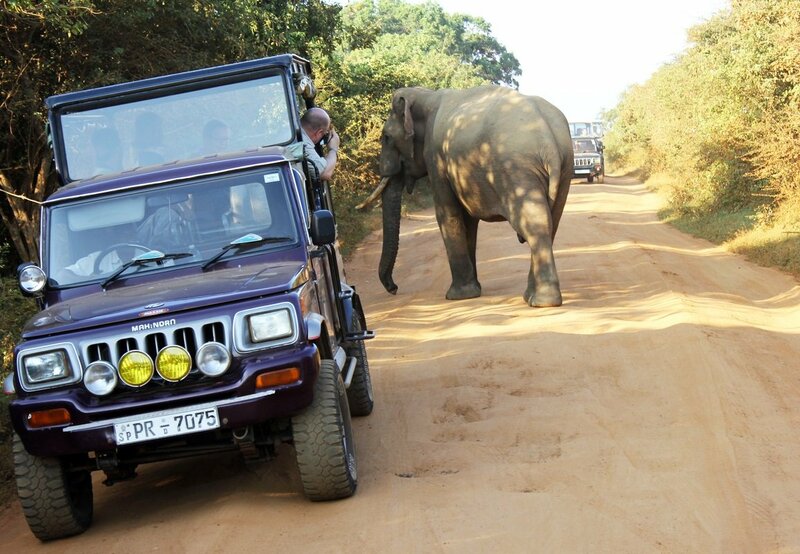 Ahead of you lie ten eventful days, starting off with a visit to Sri Lanka’s adrenaline capital, Kithulgala. 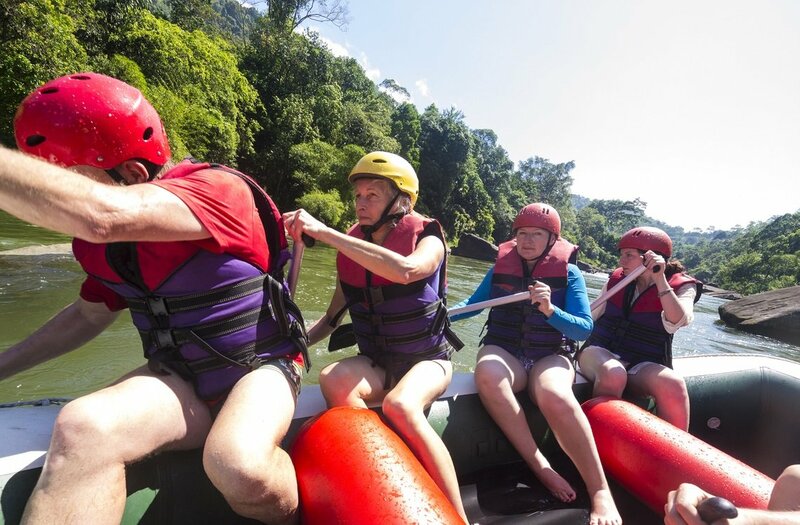 Among other things, you have the opportunity to join a breathtaking white water rafting trip on the Kelani River. If you are an experienced diver, you can even scuba dive in the Kelani River. 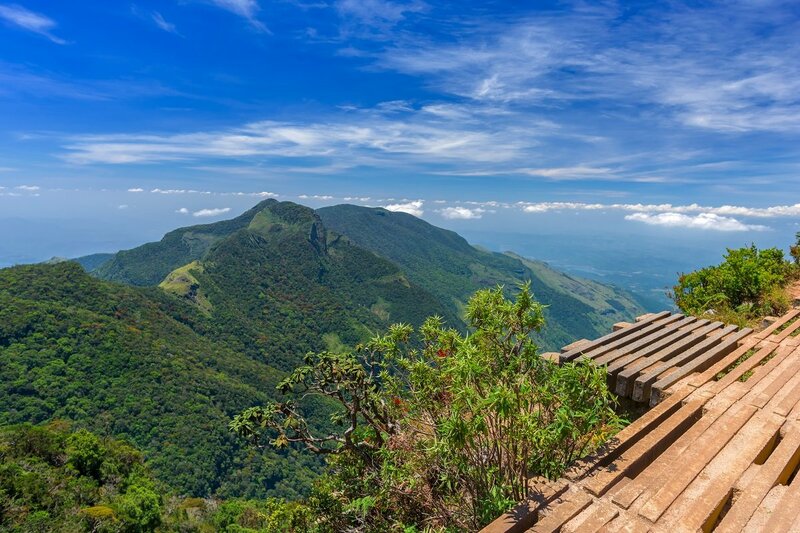 You will also go on a magical trek to the top of the sacred mountain Adam’s Peak and in Horton Plains National Park, before rounding it all off by spotting wildlife on a safari in the Yala National Park. 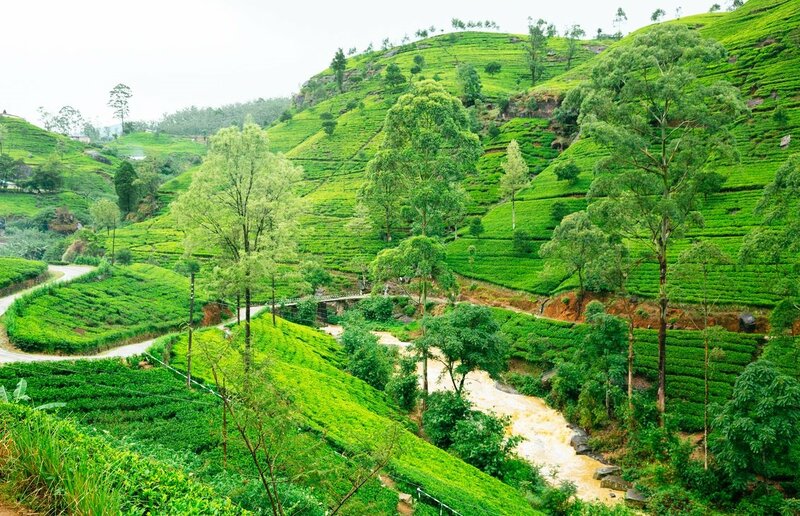 Along the way, the tour is peppered with a visit to a tea plantation at Nuwara Eliya in Sri Lanka’s highlands and a visit to the pilgrimage town, Kataragama. 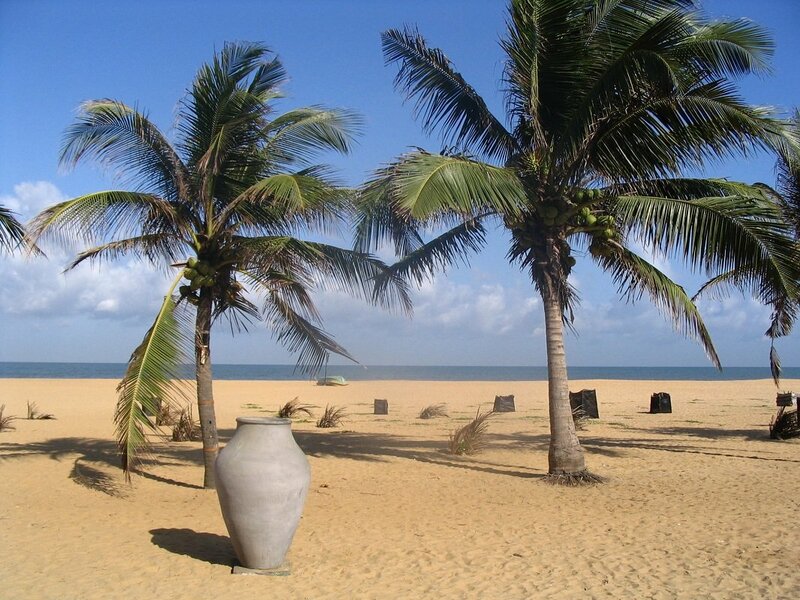 You have the option of rounding off this tour with a beach holiday at one of Sri Lanka’s beautiful beaches. 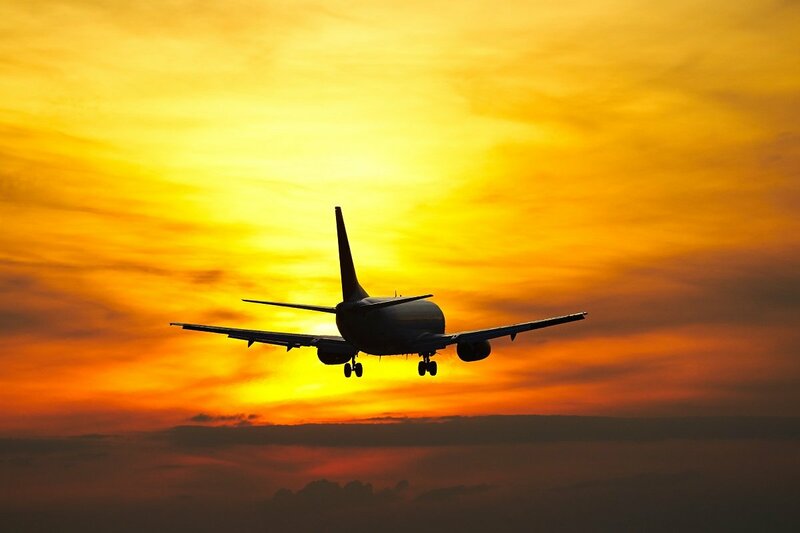 Departure day, where you will fly to Colombo with connecting flights along the way. 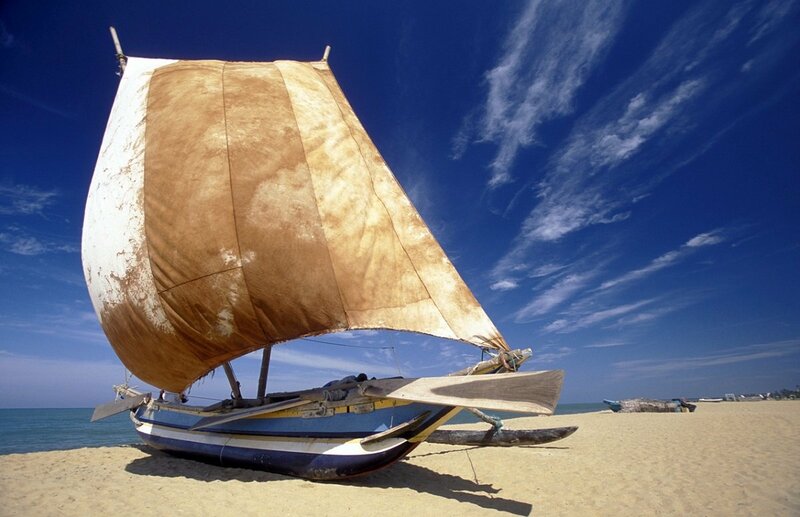 You arrive at the airport in Colombo and pick up your luggage. Your guide is waiting for you in the arrivals hall, holding up an Asia Tours sign, and you will feel the warm Sri Lankan hospitality immediately. 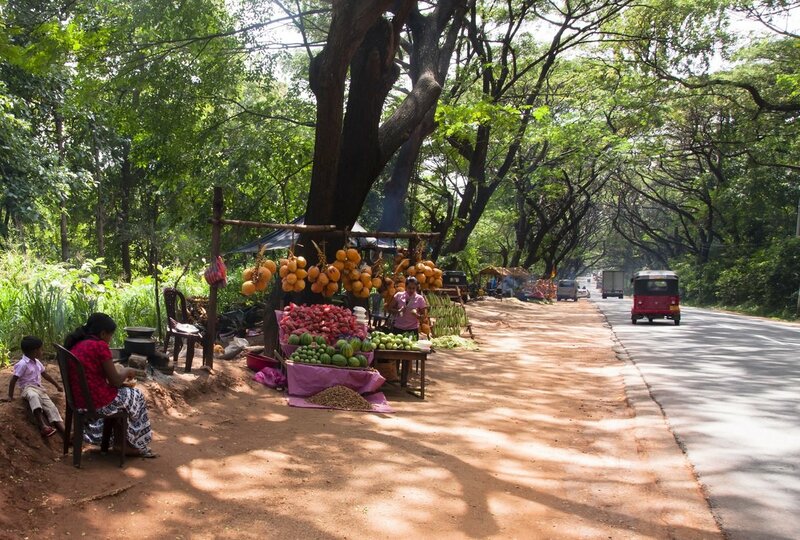 From the airport, you drive to Kithulgala, where you check in to the hotel. The rest of the day is your own to relax. After breakfast you are free to explore the area. 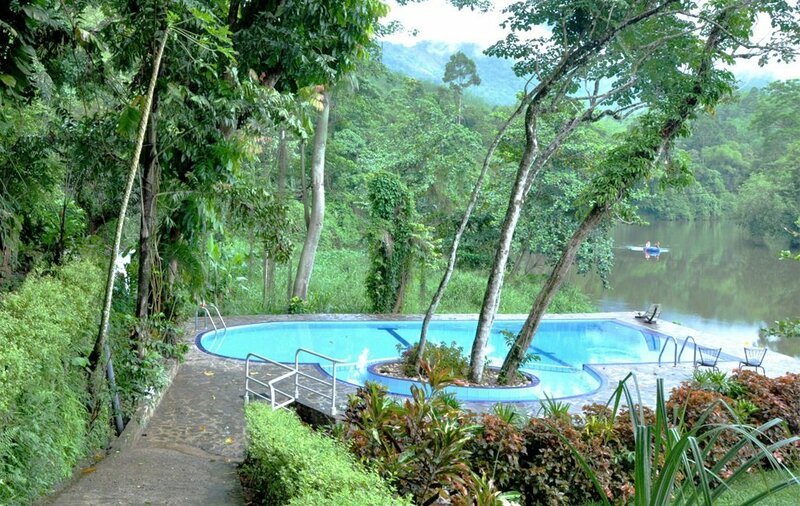 Kithulgala is a popular destination for active local Sri Lankans from Colombo who like to spend the weekends and holidays in the scenic surroundings by the river. If you’re an adrenaline junkie, you’ve come to the right place! 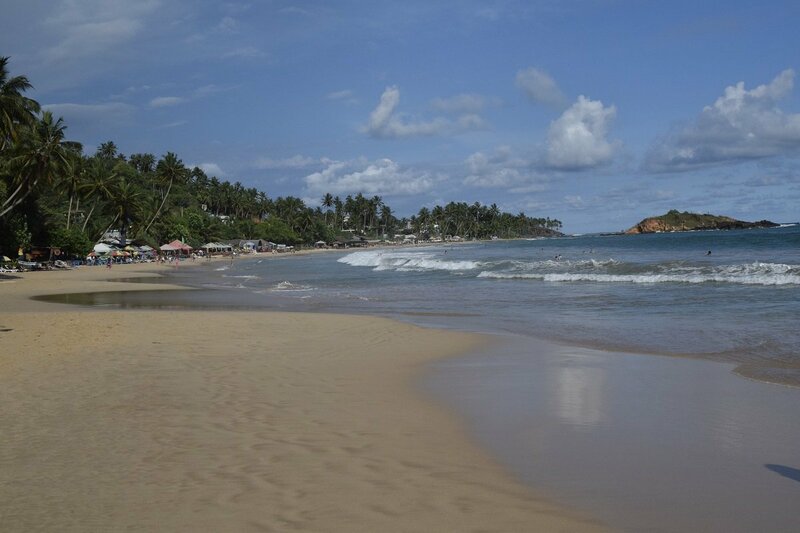 Kithulgala is Sri Lanka’s adrenaline capital, offering fantastic opportunities for rafting, jungle trekking, exploring caves and even scuba diving in the Kelani River! There is also scope for quieter walks in the jungle, where you need to remember to look out for the many exotic birds. You can swim in the river – and finish it all off with a “curry” at one of the local restaurants. The morning is your own in Kitulgala. Perhaps the pool will be the most enticing? Or perhaps you’ll head out into the jungle to take the last photos? In the afternoon, you transfer to Adam’s Peak, where you spend one night. The day starts early! 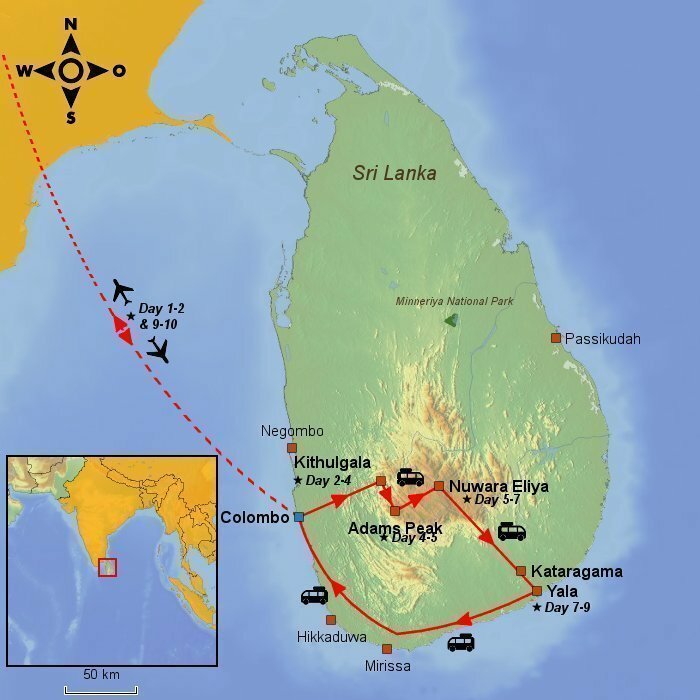 You are going to climb Sri Lanka’s 4th highest mountain, Adam’s Peak. The mountain is climbed in the dark, so that you are rewarded with a magical sunrise over this holy place when you reach the top. Despite its 2,243 metres, the mountain is not the country’s highest mountain, but it is absolutely its most important. Adam’s Peak is, in fact, sacred to Buddhists, Hindus, Christians and Muslims alike. 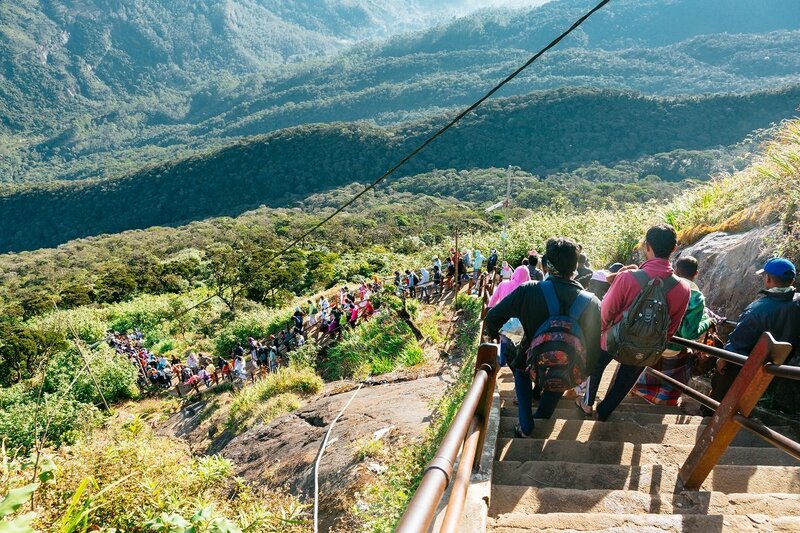 All Sri Lankans aim to climb the mountain at least once in their lifetime, but many make the trip every year. There is a footprint on top of the mountain, which according to Buddhists is Buddha’s footprint, while Muslims believe it is Adam’s footprint. Hindus refer to Shiva, when asked who the footprint belongs to, while Christians believe it belongs to one of the apostles. However, they all agree that the footprint is sacred – and so all agree that the mountain is sacred! The climb to the top is relatively hard. It takes a good three hours to climb the 5,000 steps. But the mood at the top is worth every step. The prospect of the sunrise that slowly awakens the country, and the uniting of the many religions, despite their differences, makes for an almost magical experience. 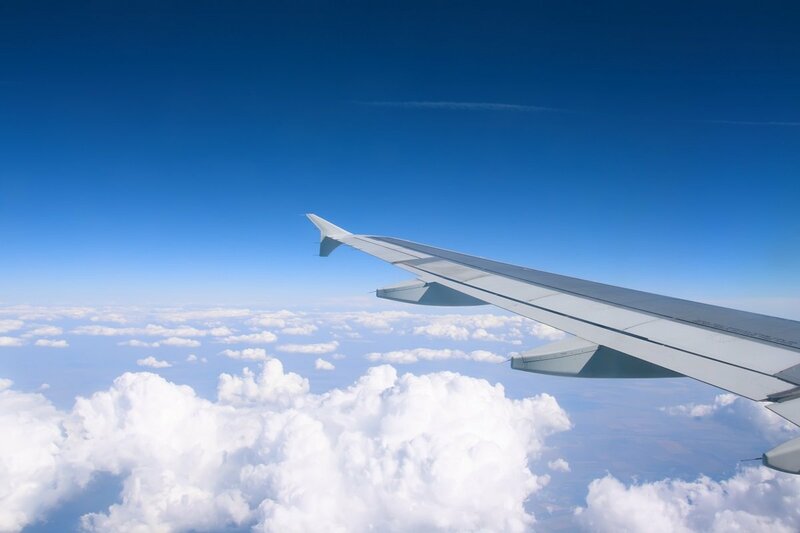 This trip creates eternal memories for everyone – regardless of their religion. 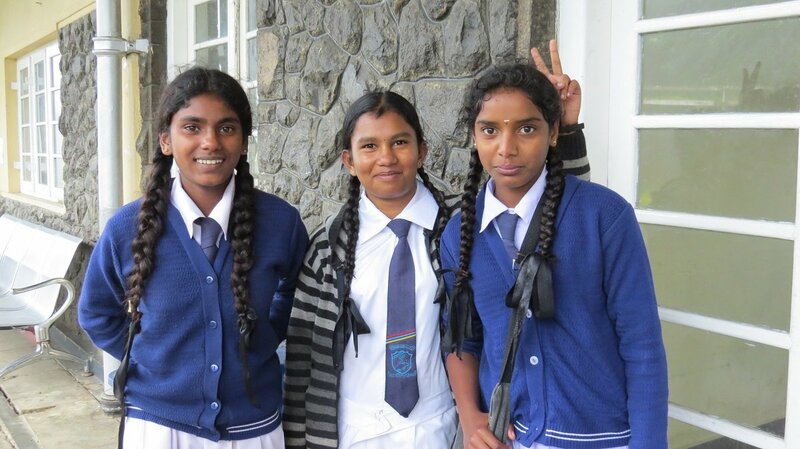 With the sun high in the sky, you head back down the mountain, and you are driven to Nuwara Eliya. 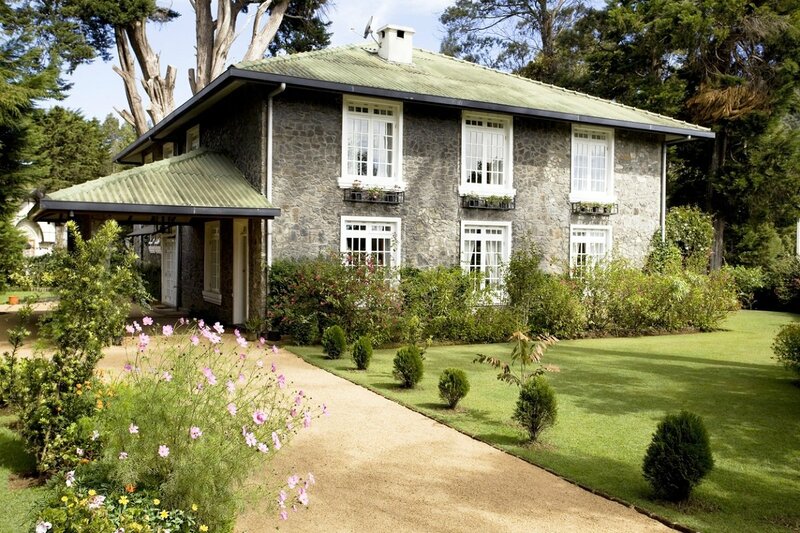 Nuwara Eliya is also called “Little England” due to the British influence in the city, with the typical English buildings, the fine country houses and the beautiful rose gardens. The town is also known for its Victoria Park with its many flowers and birds. 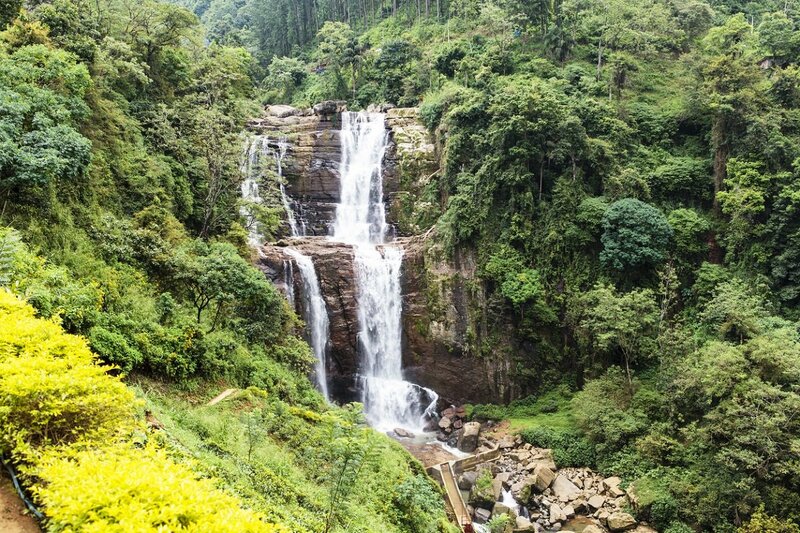 The town lies at an altitude of 1,900 metres and is picturesque with mountains and valleys, gushing rivers and waterfalls and green tea plantations. 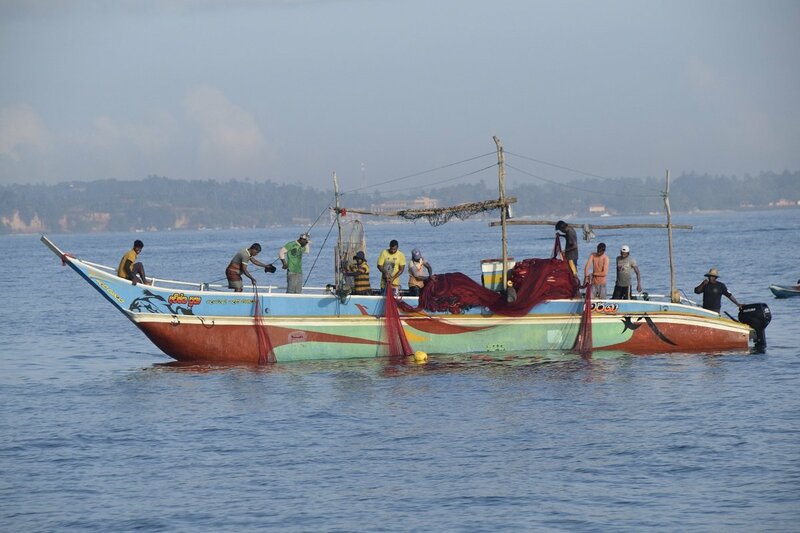 The climate is one of the coolest in Sri Lanka, making the weather like a British spring. Its cool climate makes it the ideal place for tea production, and it is here that one of Sri Lanka’s most recognised teas comes from. 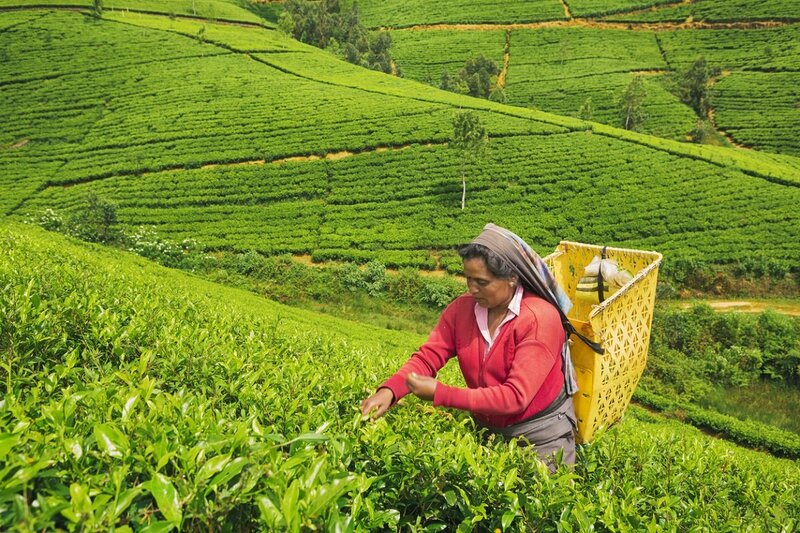 Indeed, Sri Lanka is the world’s fourth largest tea producer. 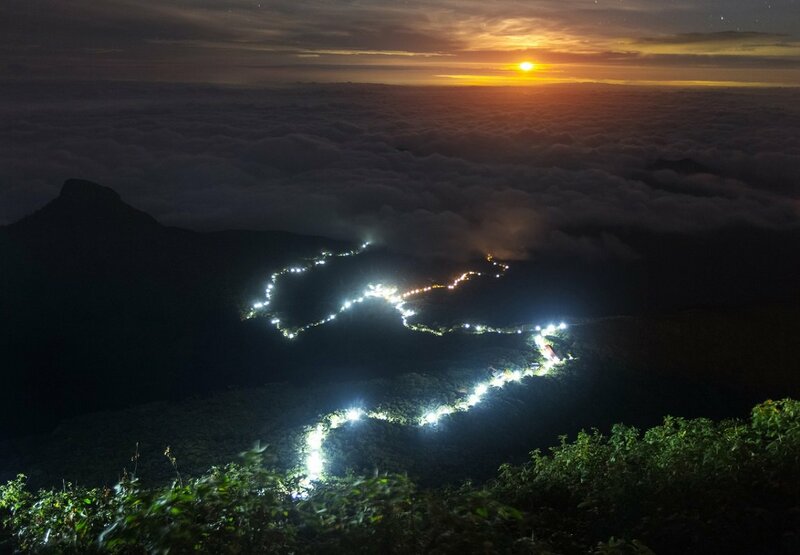 NB: The sunrise tour on Adam’s Peak is available from December to May. 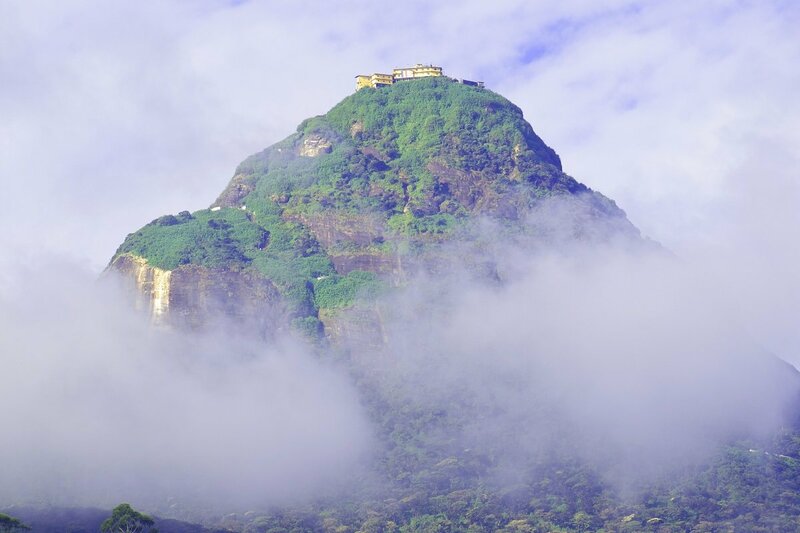 In the period from June to November, Adam’s Peak is climbed during the day. You will certainly enjoy having a lie in today and enjoying a leisurely breakfast. The morning is your own – perhaps you have sore legs from yesterday and would rather just relax with a good book. If you fancy a little light activity, you can go for a walk in the beautiful garden. 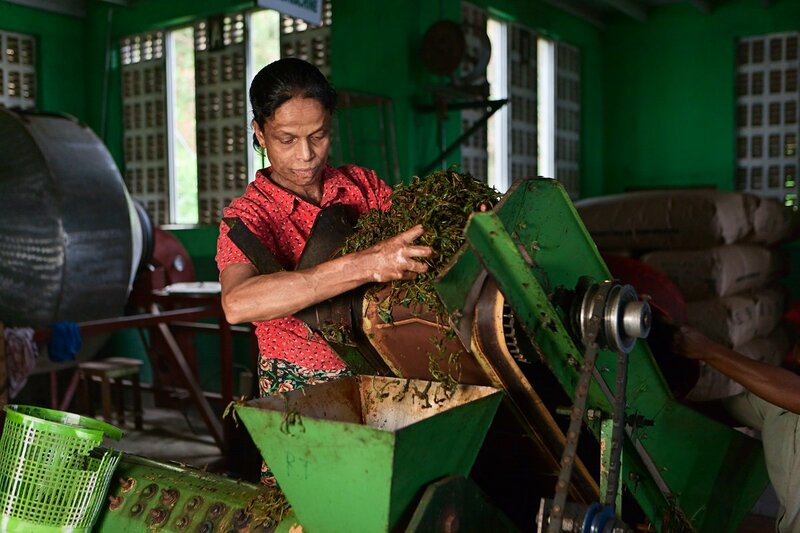 In the afternoon, you visit a tea plantation and factory, where you get an insight into the whole process – from when the leaves are picked to when the tea is steaming in the mug. You will be able to both taste and buy some tea to take home with you. 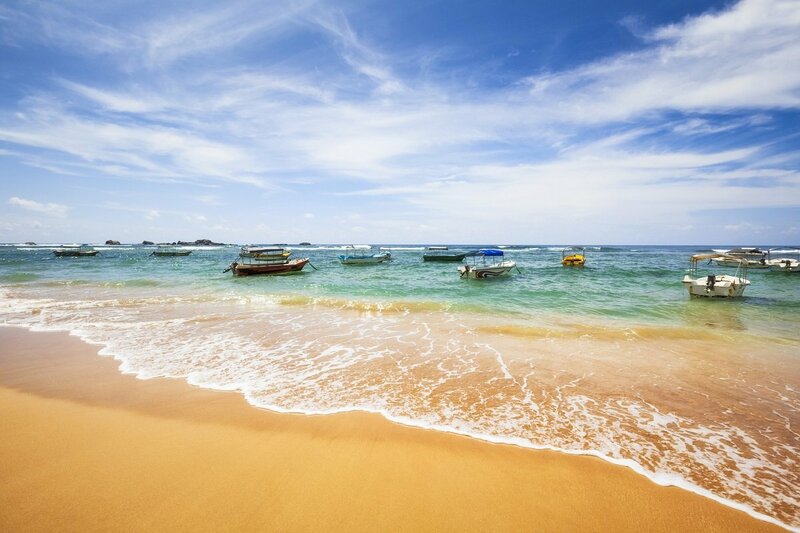 Today, another fantastic outdoor experience in Sri Lanka awaits you. Early in the morning, you drive to the Horton Plains National Park, located at an altitude of 2,100–2,300 meters in Sri Lanka’s central highlands. Large sections of the plains are covered in beautiful, untouched grasslands and cloud forests. 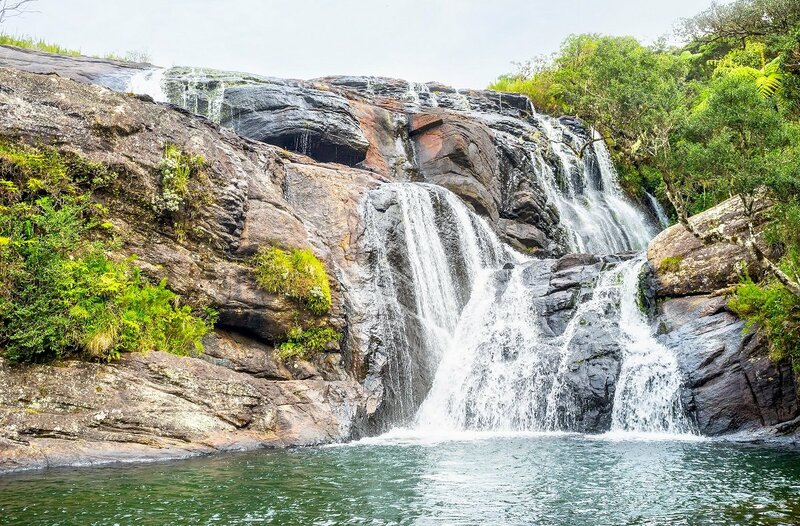 The National Park is one of the island’s most important watersheds, and source of three of Sri Lanka’s largest rivers, Mahaweli, Kelani and Walawe. 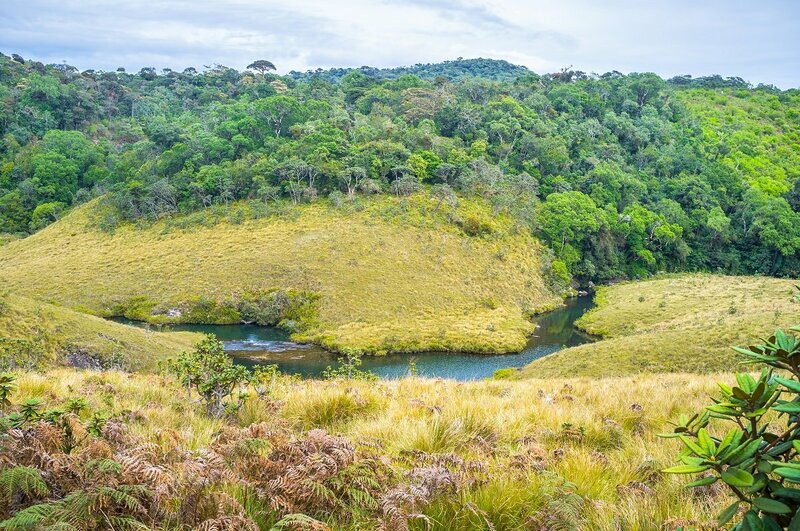 When you arrive at the park, you will soon discover that Horton Plains is a world apart from the rest of the island. 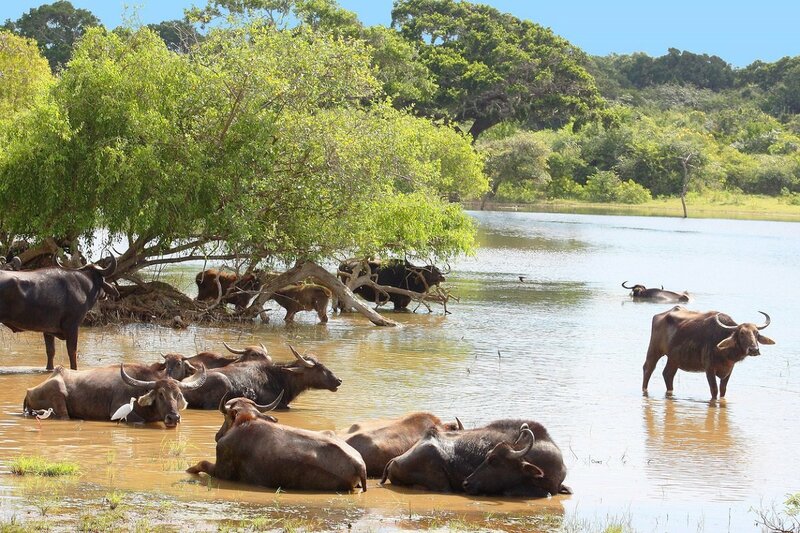 This is mainly due to the cool, wet climate, which has promoted the growth of an endemic flora and fauna. The elephant disappeared from the area in the 1940s, and the sambar deer is currently the largest and most common mammal. You might also be lucky enough to see langur monkeys and maybe even the rare leopard. 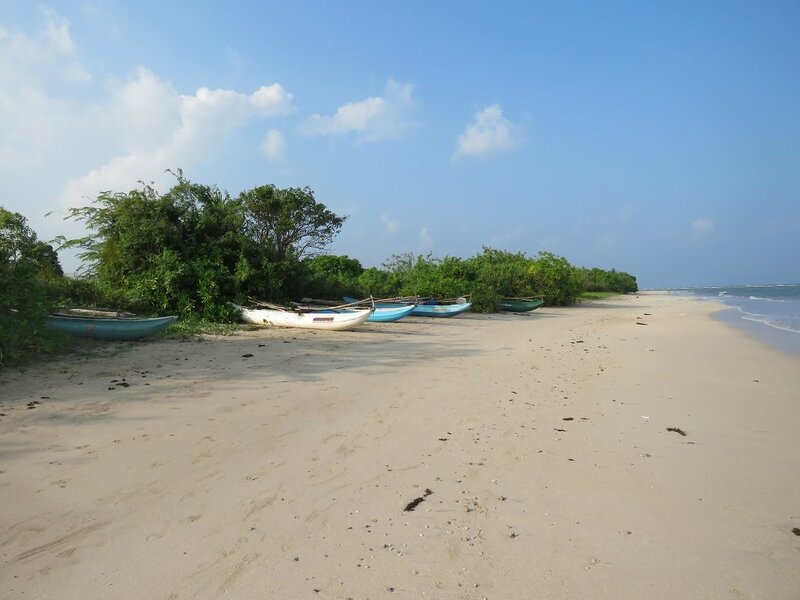 One of the highlights of the park – and perhaps the best vantage point in Sri Lanka – is the “World’s End”. The Horton Plains National Park comes to an abrupt end here, and you can look directly into the abyss – a drop of more than 1,000. From “World’s End”, you can enjoy the complete silence and the incredibly scenic view of the forest-covered mountains. 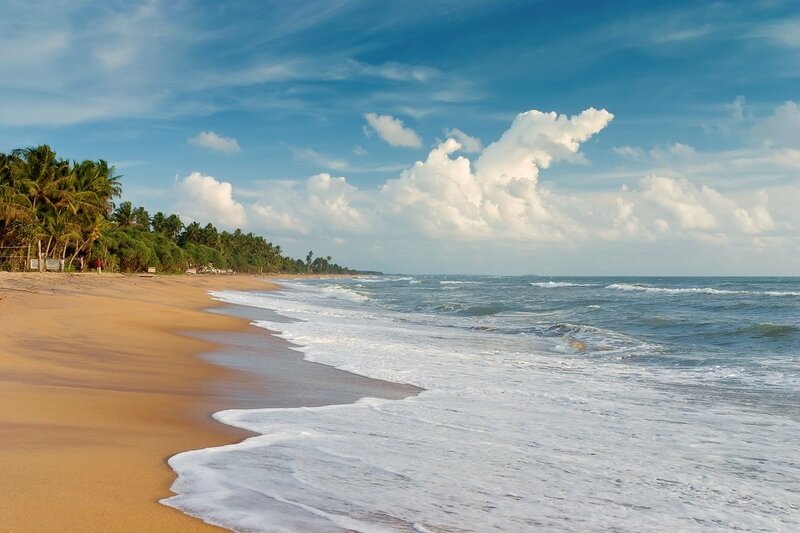 On a clear day, you can even catch a glimpse of Sri Lanka’s south coast. From the Horton Plains National Park, we head for the Yala National Park, stopping at the sacred pilgrimage town of Kataragama on the way. 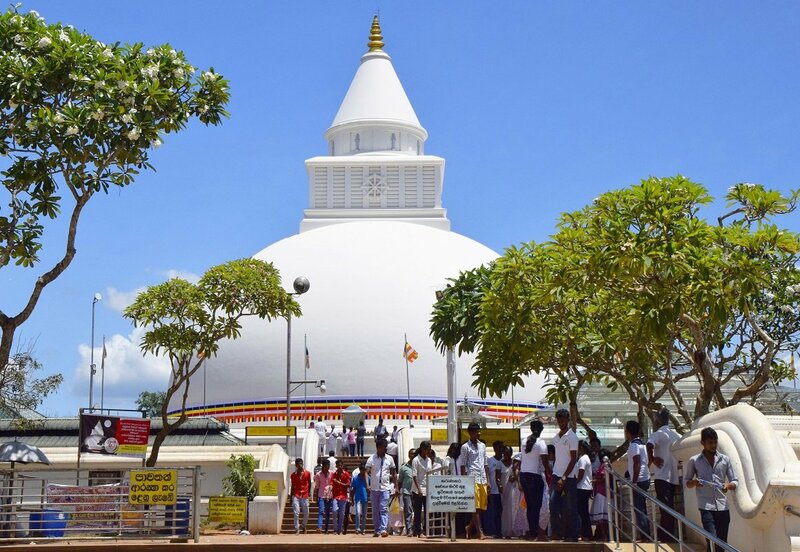 The city is sacred to Buddhists, Hindus and Muslims alike, and like Adam’s Peak, it is one of the most important religious sites in Sri Lanka, with a wealth of legends connected to it. You have the morning to relax, and in the afternoon, another major highlight of this trip awaits you, i.e. 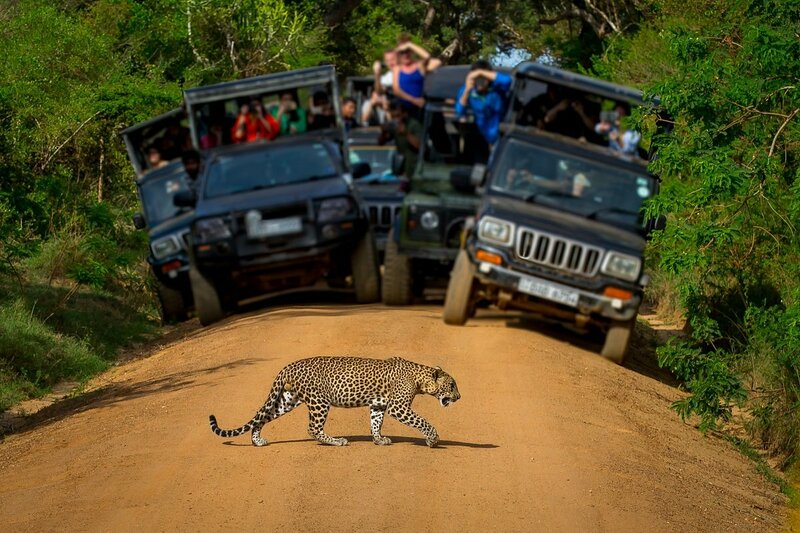 a safari in the Yala National Park. 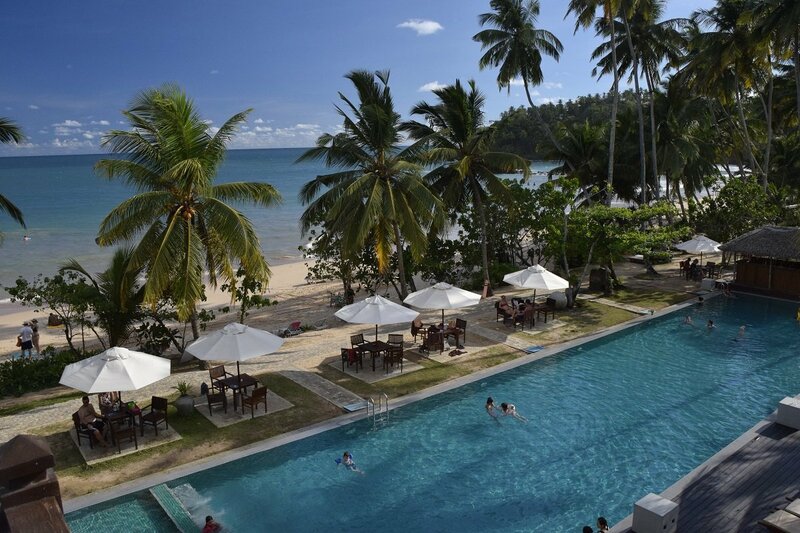 The stay is with full-board and based on a superior bungalow for 3 adults or 2 adults and 1 child. 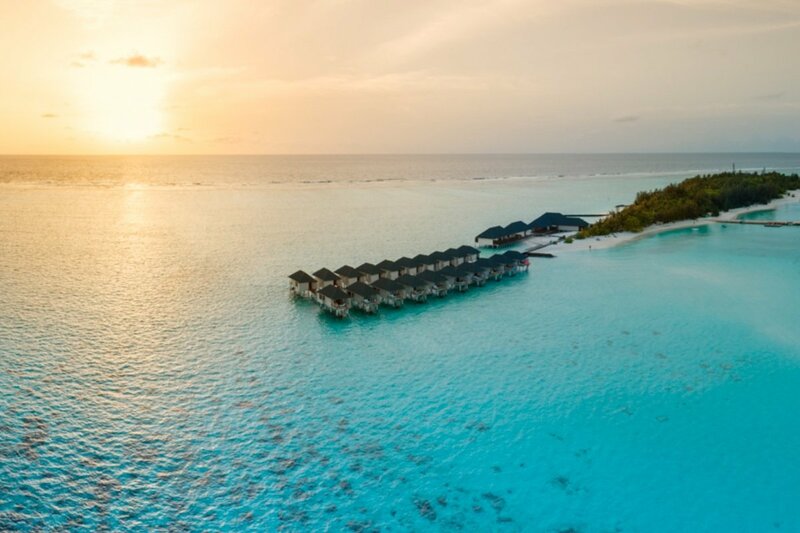 Most hotels in the Maldives offer various water sports activities and excursions such as a sunset cruise to see dolphins, island hopping, a romantic picnic on a sandbank as well as snorkelling and diving trips. The Maldives are paradise for divers and snorkellers, offering some of the world’s most beautiful reefs brimming with colourful corals and fish – and who knows? You might even find Nemo! You might also see small reef sharks, rays and turtles. 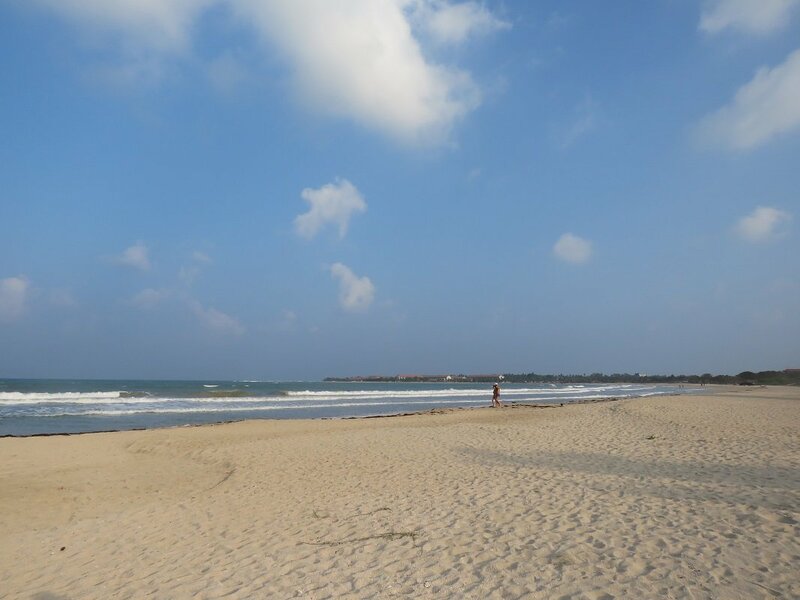 In the evening, you can go for a walk along the beach and enjoy the beautiful sunset. Why not make your dream come true? 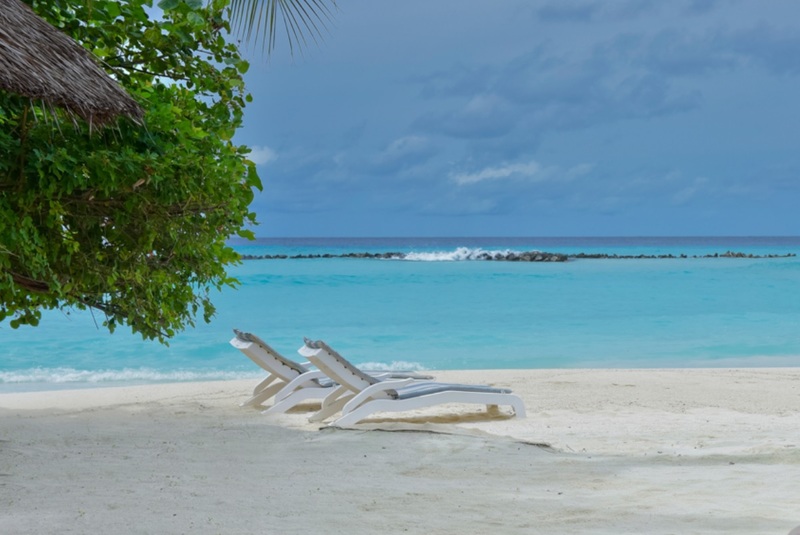 Travel with us to the Maldives for peace, relaxation and the world’s best bounty beaches. 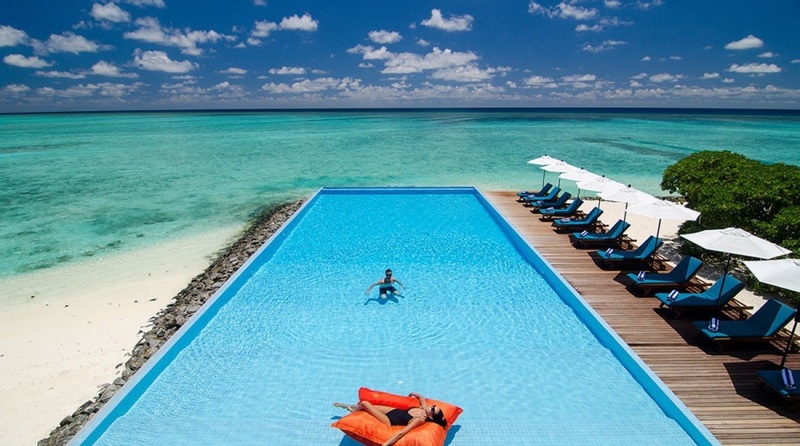 You will stay at the prize-winning Summer Island resort.